Who can resist L. Framk Baum's story of Dorothy? Pictures by W.W. Denslow. 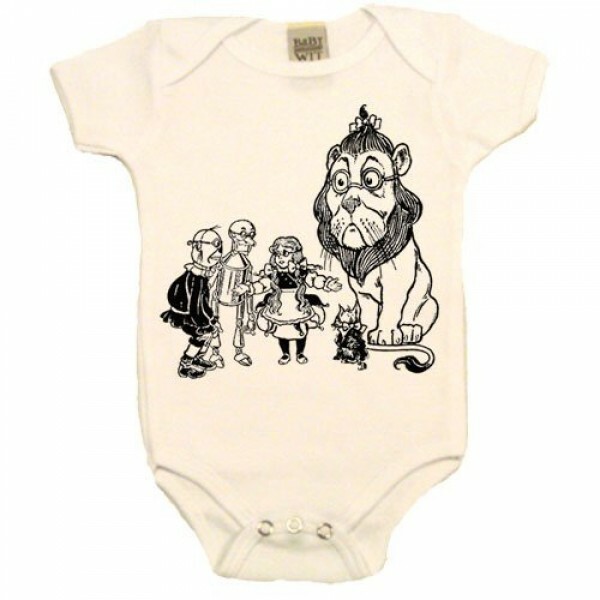 This baby onesie features vintage artwork from The Wonderful Wizard of Oz. Available in five colors: grass green, light blue, light pink, red, and white. Comes in infant sizes 3 - 6 months, 6 - 12 months, and 12 - 18 months.